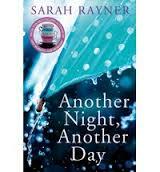 Another Night, Another Day is the new novel by Sarah Rayner bestselling author of One Momnet, One Morning. The novel introduces us to the lives of three main characters; we follow their separate stories until they converge at a pivotal point. We see the effect mental illness has on them and their families, eventually bringing them together at the same treatment centre. Their lives are all different, as are their circumstances, yet they all need help. What I enjoyed about Sarah Rayner’s book is how she handled this subject authentically. The characters are anyone and everyone. She demystifies mental illness and brings to light how it affects ordinary people living ordinary lives. She successfully strips away the fear that is often associated with mental illness. Rayner does not dwell on the tragedy, but explores the hope that understanding and support can bring. This was a personal subject for me, and I have also written a short story on manic depression. Mental Illness is a large umbrella term, which I feel Rayner has opened out and let the reader see its many different facets. Some of the characters in this book are being revisited from Sarah Rayner’s other books One Moment, One Morning and The Two Week Wait. I have not read either of these books and found Another Night, Another Day can standalone. The official publication date for this book is 17 July, but Waterstones has it available to coincide with Mental Health Awareness Week. This review was based on a publisher’s copy in exchange for an honest review. This, in no way, has influenced the review. There are so few stories that sensitively and accurately handle mental illness. I feel slightly unfair about it, but one of the fastest ways to through me out of a story is to have an inaccurate or cruel mental illness plot line. For this reason, I now seldom pick up books that tackle mental illness. I will definitely have to take a look for this when it comes out. Thank you for highlighting that valuable aspect of Rayner’s writing. I feel Rayner has some insight into this area, it would be wonderful to interview her. I’d be very happy to do an interview! Thank you for the lovely review. I’m so pleased you liked the book.